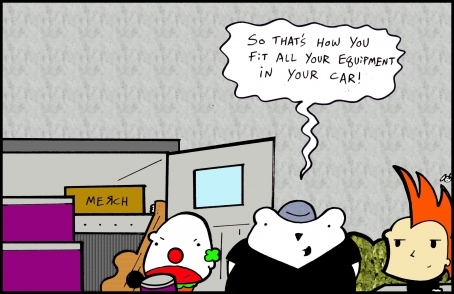 Krust Toons: "My Football Helmet Wearing Techno Project" by Teddy Hazard - please feel free to drop him a line at teddandthehazards@gmail.com if you dig or have any funny ideas. You can also check out more of his illustrations HERE. 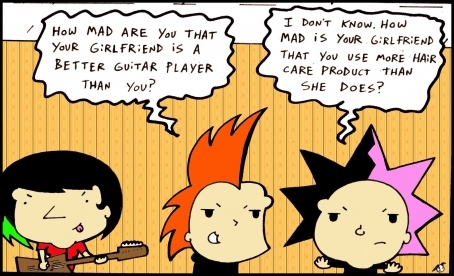 Krust Toons: "Your Girlfriend Rocks; You Don't" by Teddy Hazard - please feel free to drop him a line at teddandthehazards@gmail.com if you dig or have any funny ideas. You can also check out more of his illustrations HERE. Krust Toons: "Bar Shows" by Teddy Hazard - please feel free to drop him a line at teddandthehazards@gmail.com if you dig or have any funny ideas. You can also check out more of his illustrations HERE. 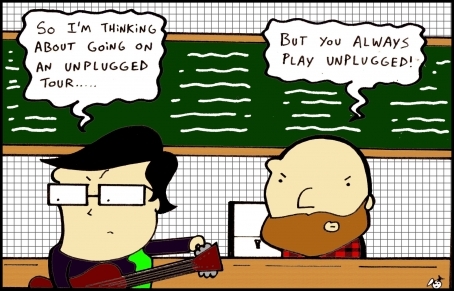 Here is our new edition of Krust Toons by Teddy Hazard entitled "Going on Tour." Please feel free to drop him a line at teddandthehazards@gmail.com if you dig or have any funny ideas. You can also check out more of his illustrations HERE.